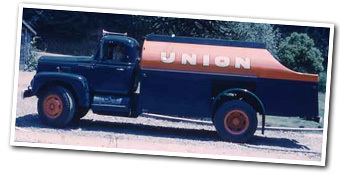 Larry Renner who was a Union Oil, (later Union 76), distributor in Garberville, California founded Renner Petroleum in 1961. Larry had a basic strong belief that customer's needs should be consistently met or even exceeded. As a result of his strong customer service, the company grew and expanded. In 1979 Larry's son Mike became a part of the company and the name was changed to L&M Renner, Inc. Larry has since retired and Mike now runs the company under the name Renner Petroleum. Mike is committed to providing the same level of quality and service upon which Renner Petroleum was founded. Customers demanded low cost, quality fueling stations and Mike supplied those with the 24-hour Cardlock fueling system. The addition of Monitor and Rinnai Heaters brought clean, efficient heating equipment to the markets Renner Petroleum serves. In April of 1999 the company added to their product line and started carrying multiple lines of oil products for distribution and sale. These products are marketed to industrial, automotive and agricultural companies up and down California's north coast and southern Oregon. California's Redwood Coast Renner Petroleum has a long history of serving the north coast and anticipating the needs of its customers. Renner Petroleum and its employees also have a long standing tradition of commitment to the community and plan on continuing that tradition.